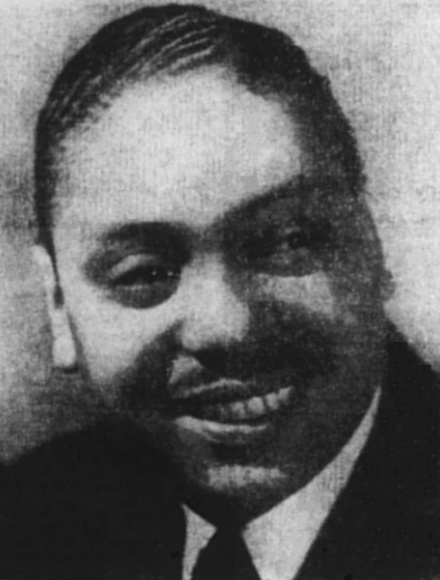 Joe (Blues Singin') TurnerBig Joe Turner, your blues singin' favorite, Snookum Russell's orchestra, and tantalizing Maybelle Smith are all keyed up for their Sunday show at the Sunset Terrace. This cavalcade of swing has been stacking up new attendance records throughout the Middle West and returns to Naptown [Indianapolis] by popular request. Call your friends and make a date with them to be on hand when the one and only Joe Turner knocks himself out with the songs you love to hear.